How would you feel if a blind drives a car? Looking at the title you may feel that it sounds crazy. But it is not so. Google has created this automated self-driving car especially for the people who have visual impairments. The ultimate aim of this project is to make a car that moves automatically through the GPS tracking system without needing any human intervention. READ: HAVE YOU EVER SEEN A WALKING HOUSE? Also, the company promises that its self driving car enables blind people to drive the car since this car takes all the functions of a normal human controlled one. This project took several years and finally Google officially unveiled it during the year of 2010. But this is an unimaginable thing and really amazing while seeing it to work. There are so many different technologies being introduced for the navigation of blind people. But however, none of the technology has been designed to travel longer distances. In order to overcome this, Google has introduced this special car to help the blind people travel to longer distances safely and securely. Also this autonomous car results in less number of accidents due do the drunken drivers sleeping during the travel. Whereas, this is achieved in this car since the machine operates and turns the car with clear mind thus saving hundreds of lives. In order to show this, Google released a video showing a blind man named Steve Mahan, the CEO of Santa Clara Valley blind centre, California test driving this automated car. He was about to go to a restaurant and then have to collect dry cleaned clothes while returning. Since it was the first time, Mahan was accompanied by Google employees sitting near him without intervening the navigation of the vehicle. After finishing his round trip all the way to his home, he really found that car is quite safe, secure and easy to operate. That was really an amazing experience for him. He says that it was a good effort by the whole Google team and this car is going to revolutionize the Blind People’s lives. The ultimate aim is to develop road safety since people may get distract but the computers won’t. It controls itself in traffic jams. 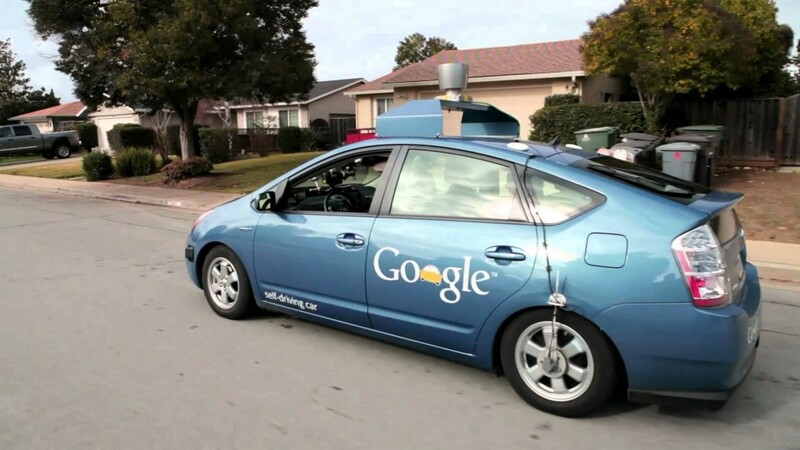 Google car strictly adheres to the road rules and speed limits. It doesn’t tailgate which means that it doesn’t drive too closely to the other vehicle. However, many countries which have complex traffic patterns may not be so quick to allow these self-automated driving vehicles on road. And a lot more still needed to be worked on this car before they could hit the road, without the direct intervention of the Google employees. Thus, Google says that the futuristic idea of a fully automated vehicle is to make you sit at the back reading and enjoying your cappuccino. Thus, not only blind people even others can make use of this car. In other words, this self-driving car is not actually helping the blind but surely will be useful to them. Thanks for coming here Naveen. Keep on reading my blog. Hope to see you again. Its Really amazing to see this. Its only bcz of Google. Thanks for share such nice stuff. Yes Of course. It’s only bcoz of google. Google is always best. They are coming up with innovative things. Good to see your comment here. Thanks for dropping by. Keep coming.